Getting a quote on any of our used Ultrasound, MRI, and CT in our inventory is free and requires no commitment. Call (877) 661-8224 to talk to an expert today. We offer many financing options at competitive rates and quick approval. To find out more about the many financing options we have available, click here. We pay top dollar for used imaging equipment. If you have unneeded equipment, peripherals, or probes, contact us today. Learn more here. Scott, you are awesome. And yes, I will definitely be recommending that anyone needing medical equipment should speak with you and I will be more than happy to provide a very positive referral to any potential buyers. Providian Medical has sold over 5,000 ultrasound machines since 2004. Providian Medical Field Service Provides Service, repair, rentals and warranty work for new and used Ultrasound, Computed Tomography (CT), C-Arms, and Magnetic Resonance Imaging (MRI) equipment to the healthcare industry. Providian Medical’s refurbishing process ensures that each technically and cosmetically reconditioned ultrasound system, CT scanner or MRI machine looks and performs like new. 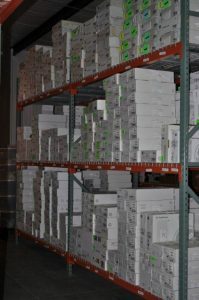 Our refurbished medical equipment is quality certified and meets or exceeds OEM specifications. 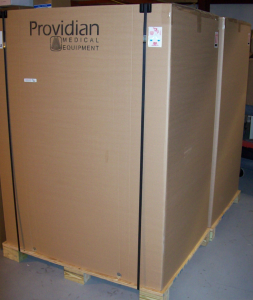 At Providian, we hope you will look to us as your first and best choice in the refurbished medical equipment industry. Our philosophy is simple: we pride ourselves on customer satisfaction and hold ourselves to the highest standard of customer service. We are committed to using our expertise in the industry to identify and provide the right medical equipment to our customers at the best price in a timely and professional manner. We have experts on-hand to assist you before and after the sale to help you get on your way quickly. We also have dozens of free training videos, how-to-articles, and technical explanations for our customers. With a large selection of fully reconditioned inventory and a comprehensive knowledge of medical equipment technology, Providian provides an unparalleled solution to your medical needs. Providian Medical is an FDA registered medical device company in the exclusive business of selling high quality new and refurbished diagnostic equipment at competitive prices. Call us today at our toll-free number, 1-866-443-3246 or contact us and we will answer your questions or provide you with a free quote.